Camping has changed so much recently. If hammering in tent pegs in the rain isn’t your idea of fun, but you still like that outdoors vibe, why not take a look at the wide choice of ‘glamping’ (that’s, err, glamorous camping, if you didn’t know) and lodges on offer on the Yorkshire coast? Set in the heart of a working stock and arable farm among the peaceful ! 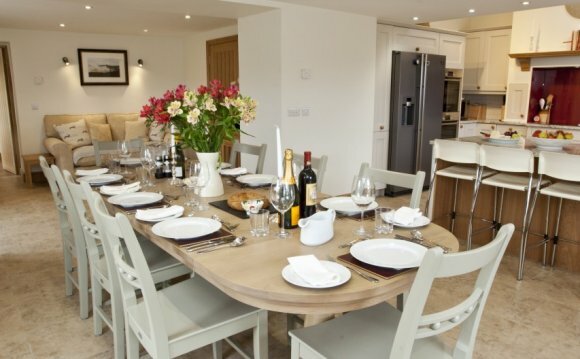 Close to the Yorkshire Coast, family friendly. An award winning, 4-star Visit England rated holiday park offering camping and caravanning pitches, as well as being Yorkshire's original Glamping Site. Family run, open all year and situated within walking distance of Scarborough town centre. Six luxury lodges with spacious decking and hot tubs in a tranquil setting with amazing views of Scarborough, yet only seven minutes by car to the seafront and the town's amenities. A peaceful family park set amidst the glorious North Yorkshire Moors National Park. Holiday Homes for hire - open all year. Touring and camping pitches are also available. Only a 10 minute walk to the pub, beach and shops at Robin Hood's Bay, near Whitby. With fantastic views overlooking Robin Hood's Bay, the latest development at Raven Hall is our eight exclusive environmentally-friendly lodges designed in Finland and hand-built with the finest timber.